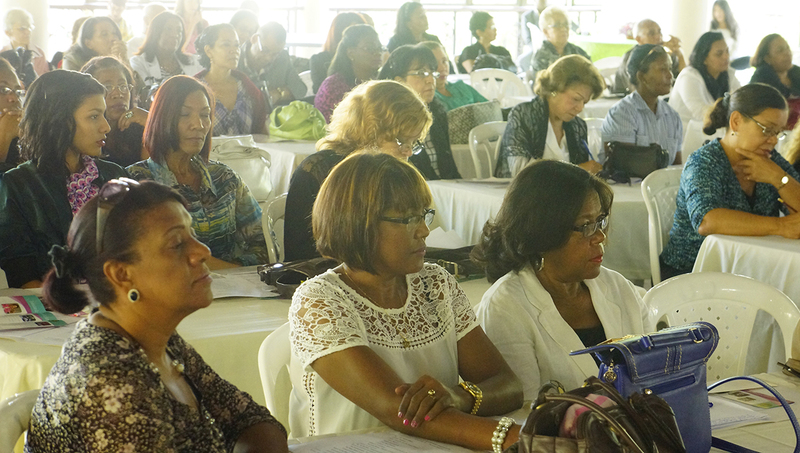 WFWP Dominican Republic: we hold the 4th Central America Caribbean Regional Assembly: Global Women’s Peace Network 2015 on November 8, 2015 at Club Del Legislator Santo Doming Este with 179 participants from Cost Arica, Cuba, Haiti, Japan, Peru, Trinidad & Tobago, USA, Venezuela and Dominican Republic. After prayer and national anthem Dr. Diana Contreras President of WFWP Dominican Republic gave welcoming speech and introduced about former Minister of Dep. of Women who passed away earlier this year. She had been fighting against domestic violence for long time and had always supported our movement. 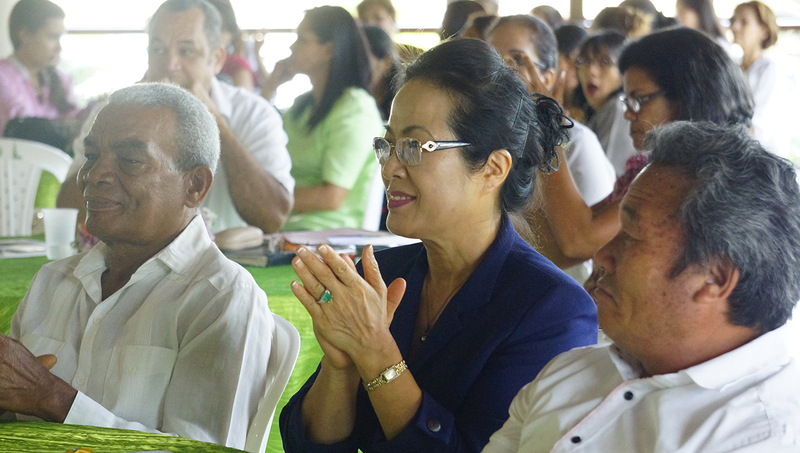 A Congresswoman Karen Ricardo and the Special Envoy of FFWPU for Dom. Rep. Rev. Dae Hee Hong gave congratulatory messages. Representing a Senator Amarilis Santana who had attended the International summit conference in Korea in August. Ms. Maritza Jorge read her speech. And Mrs. Henny Espejo also gave very emotional report about her experience during the conference in Korea. The Certificate of Ambassador for Peace was presented to her by FFWPU, UPF and WFWP together after her speech. After having short coffee break Vice President of WFWP International for North America Mrs. Alexa Ward read the speech from the International President, Prof. Yeon Ah Moon. Afterwards Mrs. Ward talked about the organization of UN and how we can work with UN since she has been working as a duty of director for UN It was very informative topic. Last session in the morning was giving by Congresswoman Guadaplupe Valdez on “Women and the education. During lunch time a young group of ecology performed Dominican folk dance. Pro. Lesbia Canova from Cuba gave the report about their Character Education and the situation of the education there. WFWP Presidents of Peru, Costa Rica, and Trinidad & Tobago gave report of their activities and the guest from Haiti greeted to everyone. The last speaker was Prof. Iruma Nicacio who is the adviser of gender free for the government. She spoke about the development of right of women in political area. We made 3 discussion groups such as Politics, Education and NGO. After the discussion, each group leader gave reports of summary. They really liked this session. At final, young group performed another dance and the singer Alicia Baroni sang a few songs. Those were “Woman” “New World” and as an encore she sang one of popular Merengue .Then everybody started to dance.